Just checked into Williamsburg Cinemas - the app listed no screenings BUT gave a generic “unlisted screening” option so it all worked out. Even at the matinee price of $9 the face value of the ticket is still more than the monthly breakdown of the annual MoviePass enrollment. Also peak pricing is back, and on the Moviepass subreddit some people are claiming that clicking "agree" on the new terms and conditions popup this week has re-enrolled them in the service if they had cancelled already, and can't cancel through the app again. Seems odd and hard to verify but I'd believe it at this point. While MoviePass has generally been restricted to the two-movie choice for me lately, sometime in the late afternoon yesterday everything opened up again and almost all movies at almost all showtimes for the rest of the evening were available, and I was able to check in and buy a ticket for Blackkklansman without any trouble. Today it’s back to just Slender Man or The Meg, even though they just sent me an email promoting Mission Impossible. And yes, the last email I got from Moviepass talked about how I had “opted in” to the new plan starting this month, which I guess means that agreeing to the new terms and conditions is being interpreted that way. They come right out and say in that email that if you canceled before “opting in” then opting in overrides the cancelation. Pretty shady. If you haven’t already, pick a reason from the drop down box. Kinda tricky to spot. Brian C wrote: If you haven’t already, pick a reason from the drop down box. Kinda tricky to spot. That did do it, but first I updated the app. After it was updated it prompted me to pick the invisible drop down option. Another option is to go out in a blaze of glory by violating as many agreement terms as you can, like buying tickets and selling them to a third party. C'mon MoviePass, RENEW me - I dare ya! So, last week when I started up my AMC subscription, I also cancelled my MoviePass subscription. My current MP billing cycle ends tomorrow, August 14. However, I did "accept the terms" when they subsequently announced the new plans, but after I saw Kirkinson's post above, I cancelled again. This was probably Saturday? At any rate, I got an email from MP today titled "Confirmation of New MoviePass Subscription", with new updates "coming on the first day of [my] new billing cycle, 2018-09-14"! It also stated that if I "had previously requested cancellation prior to opting-in, [my] opt-in to the new plan will take priority and [my] account will not be cancelled." So, I did the chat thing in-app this afternoon, and the chat rep stated that my cancellation had been processed, but flatly refused to confirm that I will not be billed tomorrow. The best they could offer was that, if I am, I should contact them for assistance. TL;DR - watch your credit card charges after you cancel, people. These guys are basically straight-up thieves at this point. You can also call up your banks to ensure that they won't process further charges from moviepass. It's far easier if MoviePass does it, though. Obviously if the charge goes through, I'll have to get the bank involved anyway. But mostly my point is just for people not to take the cancellation for granted. I'm rolling the dice and sticking with it to see if I can wring out more than the roughly $23 I'd get from a refund before they finally collapse for good (though they're showing a Michael Myers-esque ability to survive beyond the point of reason so far); if I fail, I'll still have saved over $600 on this subscription, so... still worth it! Last edited by DarkImbecile on Fri Aug 24, 2018 5:07 pm, edited 1 time in total. Seeing how it's been impossible to check into the repertory theaters I've frequented most (Lincoln Center, Metrograph, etc. - not even an "unlisted screening" option is given), this may have a minimal impact since there aren't more than three new films I've really wanted to see in any of the remaining months left on my subscription. Plus, given NYC prices, it's still a deal if the annual rate doesn't go up. But it's still a horseshit move to pull this now. I also haven't gotten any notification of a change to my subscription, and it still shows it's Annual with an $89.95 per year renewal when I look at my account details. My assumption is that if I cancel, there won't be any refund forthcoming, since they haven't told me so. Even if it just becomes a Landmark-only subscription, there could be worse things come Oscar season. 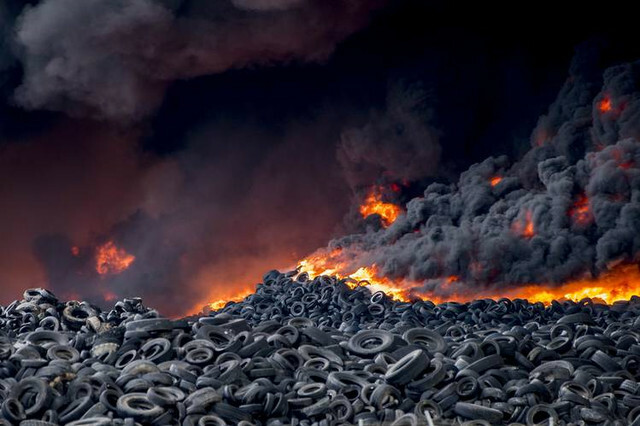 So I'll ride it out a little longer even though it is essentially impossible to use anywhere else anymore. 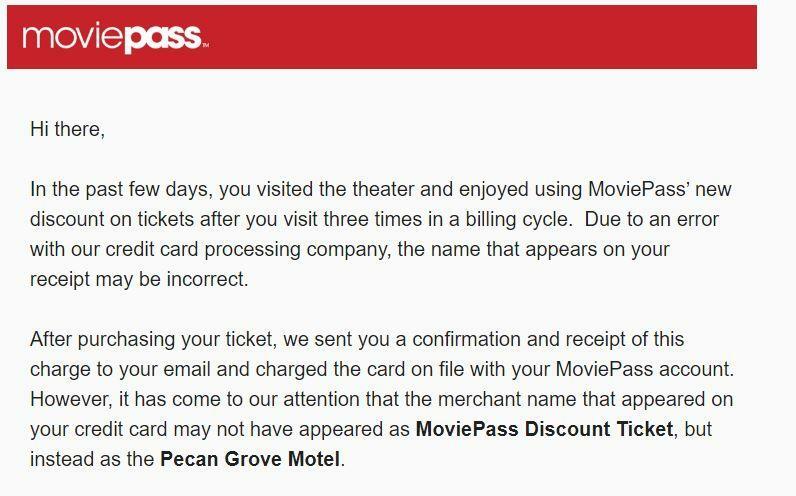 Clearly, the name of this thread must be updated to reflect the true name of MoviePass, Pecan Grove Motel. I await the day MoviePass's website automatically re-directs you to the Pecan Grove Motel.